Ken Foxe is a lecturer in DIT and a freelance journalist. On June 27 last, the Irish-American academic and blogger Catherine Kelly was leaving Ireland through Dublin airport when she was detained by two plain clothes gardaí, and questioned about online reporting that she had done on the finances of Fine Gael minister for Social Protection Regina Doherty. Ms Kelly says that she was ‘cautioned’ not to write any more about Regina Doherty, and bullied into signing the garda notes without being permitted to read them, under the threat that she would be made to miss her plane if she didn’t. Regina Doherty has confirmed that she made a criminal complaint against Catherine Kelly – it’s not clear for what; and neither the minister nor the gardaí will comment on the case. The gardaí who detained her talked about Catherine Kelly supposedly harassing Regina Doherty on twitter, and didn’t appear, according to Kelly, to understand that since they both blocked each other years ago, that this isn’t plausible. It’s not clear how, or whether Catherine Kelly’s detention at the airport was legal. There has been some comment online suggesting that she was given a formal garda caution, but a quick look at the information online about the Adult Cautioning Scheme makes it clear that this is not the case. That was back in the summer. I mention this because Regina Doherty has a record of being touchy – to say the very least – about criticism online. 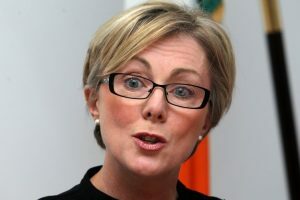 Then, on the second of September, a twitter account called Newsworthy_ie put together a couple of clips which started with an excerpt from an interview Regina Doherty gave about the new public service cards, which she said did not contain biometric data, and followed with several clips rebutting that assertion. That was pretty sharp research, but it was made possible by a playback feature on the Oireachtas website, which allows users to find and view video and audio of almost everything that went on in the Dáil and in committees, going all the way back to 2006. 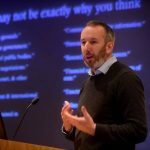 The archive was used extensively by journalists – Gavan Reilly of TV3, Philip Boucher Hayes and Katie Hannon of RTÉ all subsequently commented how useful it was for their work – as well as other politically-interested people online. But, without warning, within a day or two of that tweet about Regina Doherty, the entire playback function and all its content was taken offline. More than a decade of material was just made unavailable. 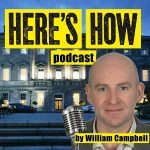 Coming up I have an interview – sort of an interview – with a spokesperson for the Houses of the Oireachtas, but first I talk to one of the journalists who first broke the story. So, having talked to Ken Foxe, I thought that the obvious thing to do talk to whoever was in charge. Derek Dignam, the ‎Head of Communications at the Oireachtas had given an interview to RTÉ, but that didn’t cover much of what I wanted to talk about, so I got in touch with the Oireachtas offices to try to arrange an interview with him. I emailed and got a statement from Verona Ní Bhroinn, Press and Public Relations Officer. It was obvious that it was a cut-and-paste response that didn’t address the questions that I asked, and contained a number of errors. I rang and asked could I record an interview, and I was given a time a few days later that I would be able to talk to Derek Dignam. A few minutes before this was due to go ahead, I got a call to say that it would be cancelled. Another couple of days later I spoke to Derek Dignam on the phone, and he suggested that it would be better that I speak to their Web Manager, Karin Whooley, and that would take another few days to set up and that they would be in touch. After another few days, I rang back for Karin Whooley and she asked me a long series of questions about the podcast. A few minutes later I got an email from her saying that she would not give an interview. Finally, nine days after first asking some basic questions, I rang the Oireachtas again and kept my recorder running. I felt that the tactic being used was to string me along with vague promises until the story went stale. I told Derek that I would be happy to record later if he gave me a firm commitment, and that otherwise I would use this audio, You can hear what happened next, when he gave me a summary of the position with the Oireachtas videos. You might have heard that I tried, and failed, to get one more question in there about the Dáil transcripts on the Oireachtas website. Derek had mentioned that the transcripts of everything said in the Dáil and Seanad are on the Oireachtas website, and that’s true. The problem is that when you search for a transcript, the website just doesn’t work, it’s horrendously bad, it gives totally inaccurate results. Bear in mind this is the official website of the parliament of Ireland, one of its main functions is to be a reference for what is said in that parliament, and that principle function doesn’t work, and hasn’t worked for years. 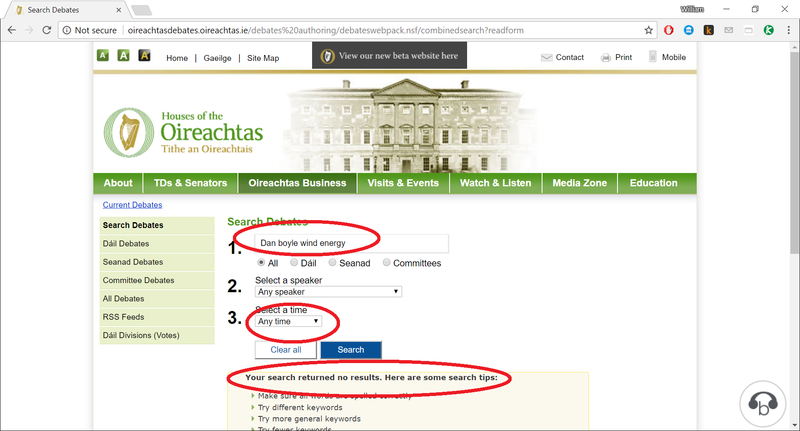 But it’s still easy to search Dáil transcripts, because there is another website, KildareStreet.com, which is a voluntary website, and it uses an XML link to scrapes the content of the Oireachtas website, all Dáil speeches and so on, and KildareStreet.com has an excellent search function that is fast and accurate. 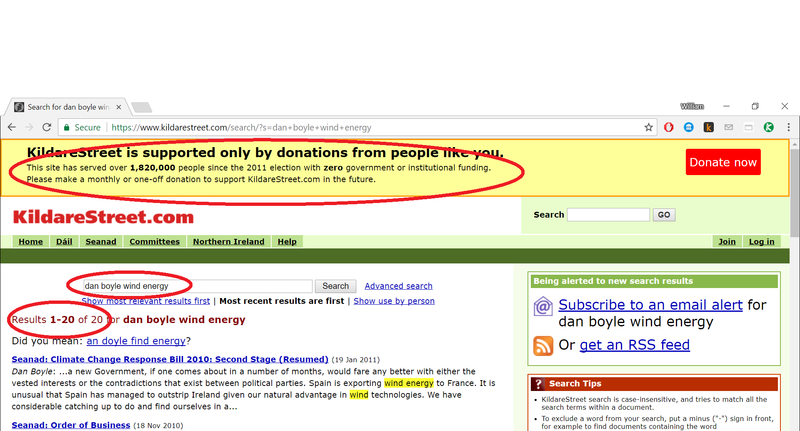 It’s doing the job that the taxpayer-funded Oireachtas website should be doing, and it does it for free. If you don’t know what XML is, don’t worry, it’s basically tags on a web page that are invisible for the human reader, but they allow other webistes to find where specific content is on that page – so when you do a Google search for a film, for example, Google shows you the imdb rating of that film right in the search results. 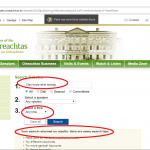 Back in 2012, the Oireachtas, also with zero notice, changed their website and stopped using XML, making it impossible for other automated systems like KildareStreet.com to access their content. Twitter exchanges at the time made it clear that Oireachtas staff simply had no idea what they were doing. There was uproar in nerdy political circles, not least because a huge chunk of KildareStreet.com’s traffic comes from within Leinster House. With that sort of clout in their userbase, the Oireachtas website was persuaded to cooperate with KildareStreet.com, and the service was eventually restored. But when I wrote about this, five years ago, I contrasted that response to the way the Residential Tenancy Board has its website. It is required by law to publish a register of rented properties. And it does. You can go to their website, rtb.ie, but you can’t see the register on their website. That’s because they store the hundreds of thousands of records in Microsoft Excel files. I'm not kidding. And it gets worse. They are using Microsoft Excel ’97, which has a limit of 64,000 lines, which means that you have to download the right one from dozens of Microsoft Excel files, and go through it to find the entry that you want. It is laughably incompetent, or at least it would if it wasn’t so serious. The website is, of course, totally useless to anyone who accesses the internet on their phone. Like young people. Or students. Or people who have to move house a lot, because they are tenants of a bad landlord – and they need information from the Residential Tenancy Board. That tells us a lot about the priorities of officialdom in Ireland. When they mess up something important people want – like Dáil records for politicians, they can stretch themselves to fixing it. But if you are a tenant who is having your rights infringed, you just don’t matter. 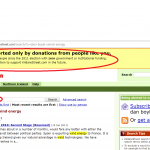 Derek Dignam claimed that it would cost 'thousands' to convert WMV files to MP4 format. In a single Google search I found many services which convert WMV to MP4 automatically online, for free. That suggest that the cost of conversion shouldn't be so high.